When the dust had settled on Saturday evening regarding the shake up for the play off spots in the Rymans Premier League the set of results struck me as very strange indeed. A total of 55 goals were scored in the 11 games played – an average of exactly 5 per game. The average over the past few weeks had struggled to be over 3 per game (31 the week before, 35 prior to that). The Ryman League noted this strange set of results on their website. So why the sudden goal bonanza? Certainly if you look at some of the games was there simply an element of last game Can’t-Be-Arsed-itis? De-Mob happy was the “official” statement from the Ryman League. AFC Hornchurch 2 Leatherhead 1 – Neither team had anything really to play for. Hornchurch were already guaranteed a home tie in the play offs so the result was to an extent irrelevant. Leatherhead were safe from relegation. Aveley 1 Hendon 7 – A six goal second half performance from Hendon who had to win to keep up their slim chance of a play off spot against an Aveley team who were relegated some weeks ago. Billericay Town 1 Lowestoft Town 4 – Already crowned Champions against already confirmed play off contenders Lowestoft. A shock result if taken out of context…but it wasn’t. Canvey Island 5 Margate 0 – Neither team had anything riding on this one, although Canvey had a shout of 6th place. A case of a day out at the seaside. Cray Wanderers 3 Horsham 1 – Nothing to play for here either. Horsham were relegated nearly six weeks ago. Hastings United 0 Metropolitan Police 2 – No surprise result here – league form and placement would suggest this would have been the bookies favourite result. Kingstonian 2 East Thurrock United 5 – Again neither team had anything to play for although few would have backed such an emphatic away win. East Thurrock scored five for the second away game in a row. 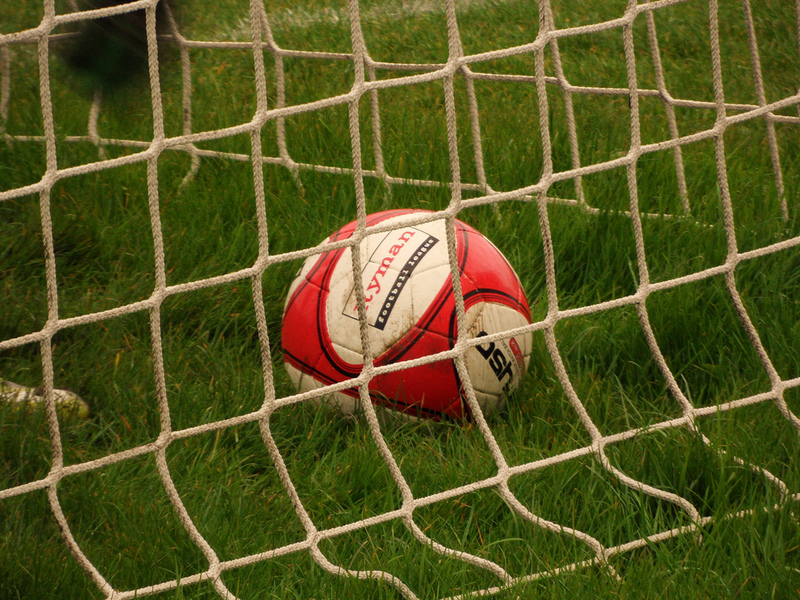 Lewes 4 Harrow Borough 2 – Lewes had to win to stand any chance of a play off spot. Harrow were safe from relegation. In truth this could have been significantly more although it is hard to say whether it was because they knew they were safe or there was such a gap in ability. Tooting & Mitcham United 1 Bury Town 7 – If the reports are to be believed, then Tooting & Mitcham slashed their weekly budgets on being relegated a few weeks ago and consequently the squad was decimated. Their two games before this one had seen a 5-0 and a 6-0 defeats Bury Town needed to win to secure a play off spot and were ruthless in their execution. Wealdstone 3 Concord Rangers 1 – Wealdstone had to avoid defeat to secure a play off spot and Concord gave them a real game. Certainly no CBA-it is at Grosvenor Vale. Wingate & Finchley 2 Carshalton Athletic 1 – Two teams who finished in the lower reaches of the table. Again not a surprise result. The Ryman League, surprisingly, is not the Premier League. There is not £756,000 riding on each league position. Games in the English top league(s?) stay competitive until the very end as the share of prize money is huge. But as you move down the divisions you can see that “dead rubbers” at the end of the season count for much less and teams cut their cloth accordingly. Non League clubs below the Blue Square level only normally have a few players on contract. The rest will be on a weekly wage but are free to join other clubs (subject to a seven day approach), have their wages cut, be released or even play on a dual registration for another club in a different league at any time. So this means that clubs can cut their budgets if circumstances dictate almost immediately. If you are relegated then there is nothing against you releasing all of your first team squad and in their place playing your mates, subject to them being registered. Few clubs would be so drastic but it does beg the question is that fair on everyone else in the league? The case of Tooting & Mitcham United is an interesting one. They were relegated back in early April and knew they faced a run-in from hell with their final three games against three teams at the top end of the table. So they decided to cut the wages of the players, drastically. You can see why they did it from a financial perspective. They could win every game 10-0 and they would still be relegated; the transfer/loan window had shut and so the players couldn’t go and join anyone else, and they would reduce the running costs for the rest of the season. It is difficult to assess the true effect of this move on the results. The fact that they were already relegated says they had played poorly for the majority of the season anyway. They were playing teams who were also enjoying a great run of form towards the end of the season, although the failure to field a goalkeeper in one particular game would have had an impact on the final score, if not the result. So what can be done to stop such CBA-it is? Actually nothing. They clubs aren’t doing anything wrong. They had an obligation to field their strongest team for each game, but a) it is just that, an obligation and b) if they trim their squad according to their situation then in all probability it would be their strongest team. In fact what better time to blood some of the youngsters who may be challenging for a first team place next season in games like these. We love football because it is unpredictable. It is possible for any team to beat anyone else on their day. So I think my frustration of CBA-itis is that it takes away that unpredictability. Still faced with ten weeks without football in this country I’d take just about any game come mid June. This entry was posted in Non league football, Rymans Premier and tagged Dripping Pan, Lewes, Ryman Premier League. Bookmark the permalink.